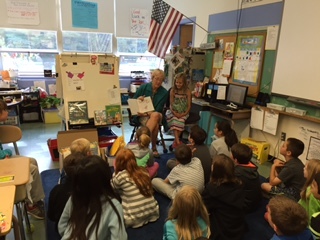 Sue enjoyed visiting Garrison Elementary School and meeting with all third graders in Dover, NH! She was joined by her granddaughter Avery. Sue shared The Yoyo and the Piggy Bank with four classes, as well as providing word searches, bookmarks, and a coin activity.